People of all ages and abilities can take part in the MS 24 Hour Mega Swim with each team creating a roster to suit each swimmer. Some swim for 10 minutes, others for 4 hours! The MS 24 Hour Mega Swim is a competition with points awarded to each team; 1 point for every $10 raised (banked funds) and 1 point for every 500m swum. 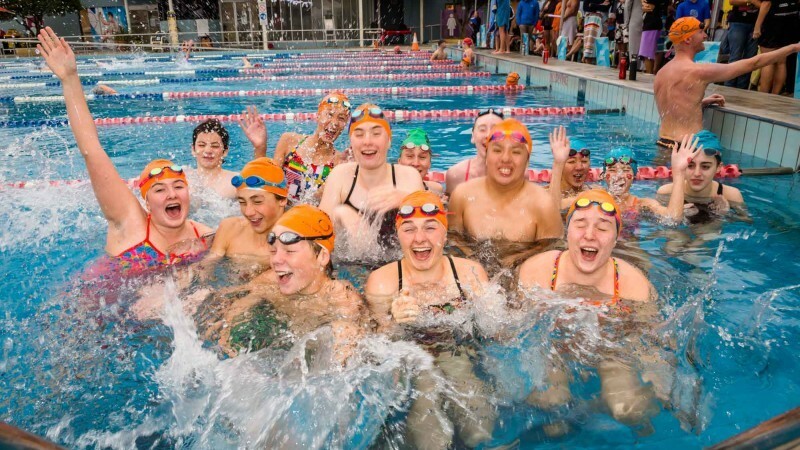 The MS 24 Hour Mega Swim began in 2001 at the Fitzroy Pool in Victoria and was devised by Carol Cooke AM who had a vision of bringing people together to raise funds for those living with multiple sclerosis. Funds raised from 24 Hour Mega Swim contribute to MS Go for Gold Scholarships, Financial Assistance Programs and providing services to directly benefit those living with multiple sclerosis.